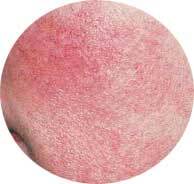 Rosacea is a skin condition that causes visible redness of the face. The severity of its appearance can vary from person to person but often it causes distress, low self-esteem and upset. If you suffer with rosacea it is possible to use laser and IPL technology to lessen its appearance. Rosacea treatment is a common choice for both men and women in reducing the visibility of facial redness. Rosacea is a common facial skin condition and though it is more common in women, it can be suffered by men also. It is most commonly seen in individuals aged between 40 and 60 and those who are fair-skinned; however it is possible for others to suffer with it. The main symptoms of rosacea are a rash and flushing; this can then lead to permanent redness and blood vessels on the face becoming visible. Other symptoms of rosacea include burning or stinging, red spots, pustules and eye problems such as itching and sensitivity to light. The type of rosacea treatment needed will depend on the specific condition. To noticeably reduce facial redness laser and Intense Pulsed Light (IPL) technology can be used. This form of rosacea treatment can reduce facial redness, lessen the appearance of blood vessels, improve flushing and produces long term results. Between three and five treatments are needed to treat rosacea and in severe cases more may be required. Is there any downtime after rosacea treatment? You are likely to notice redness for up to three days after treatment and on occasion you may suffer mild puffiness below the eyes. Rosacea treatment is carried out by one of our qualified practitioners and supervised by Doctor Maria Gonzalez. We will assess your rosacea and skin type and offer advice on the potential results. How much rosacea removal treatments cost? Exact prices to be confirmed during your consultation for rosacea removal treatment.